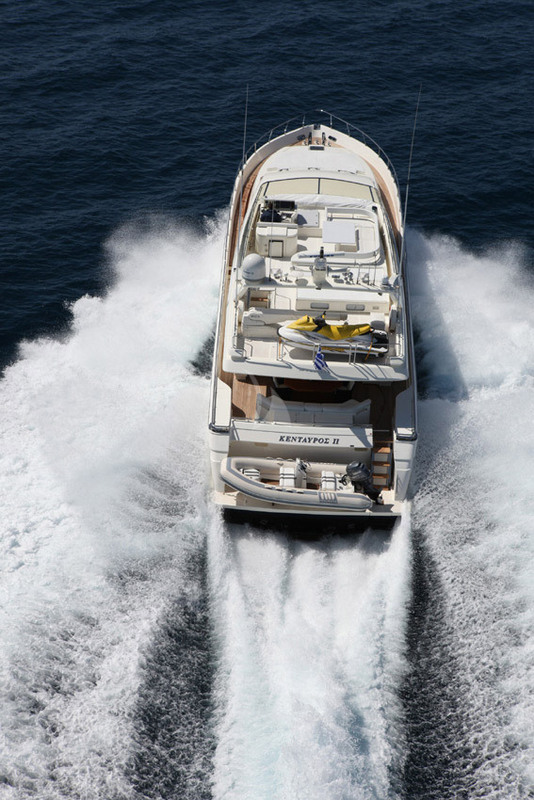 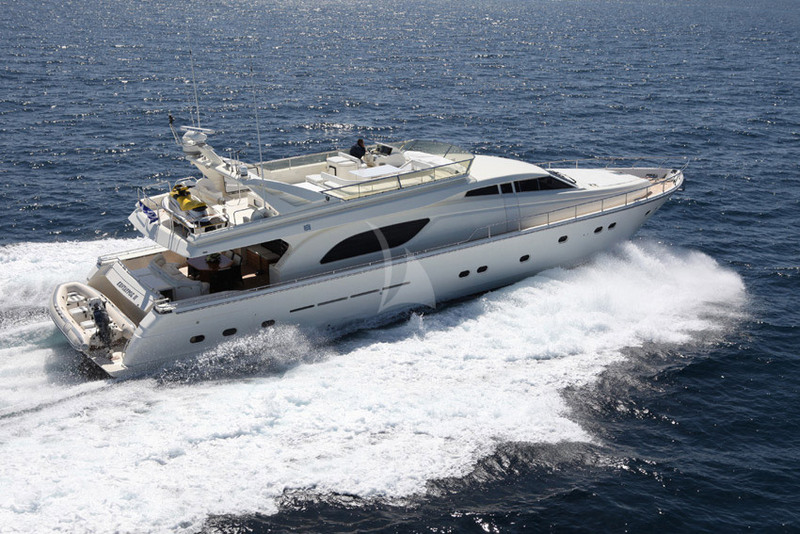 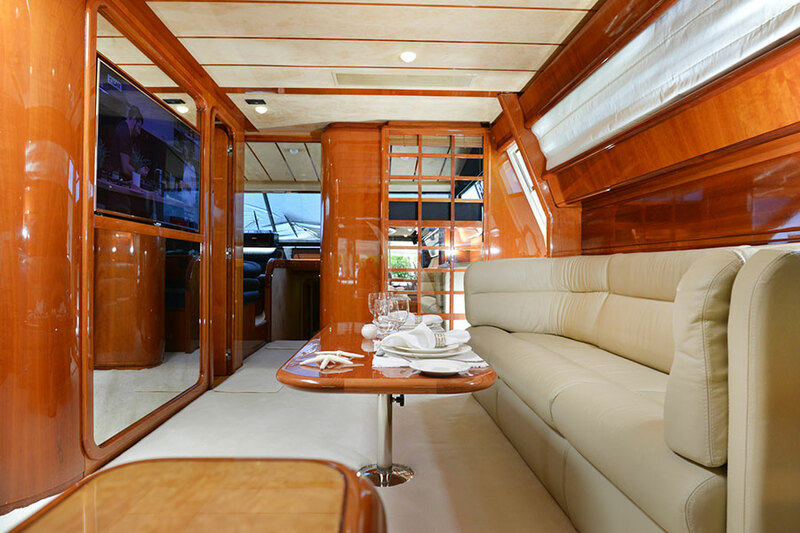 Kentavros II is a Ferretti 80 ft yacht build 2000 but refit 2018, with spacious interior and exterior decks and 4 cabins that can accommodate up to 8 guests in four staterooms. 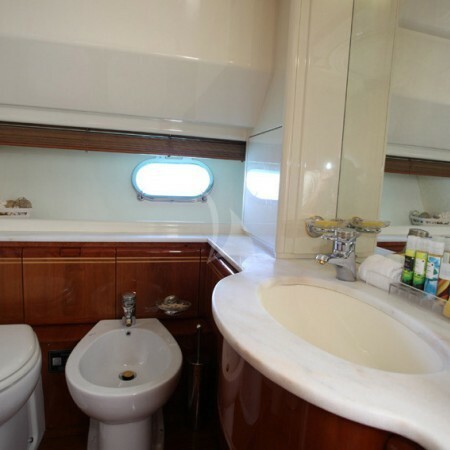 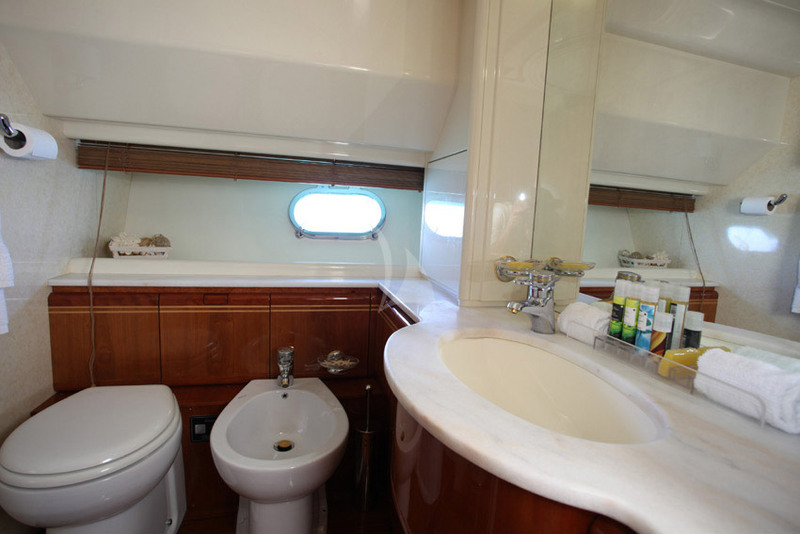 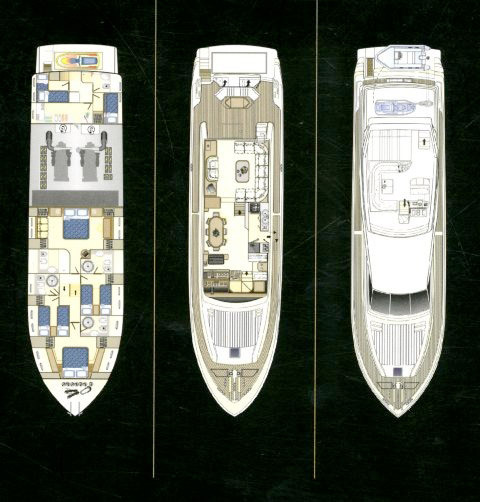 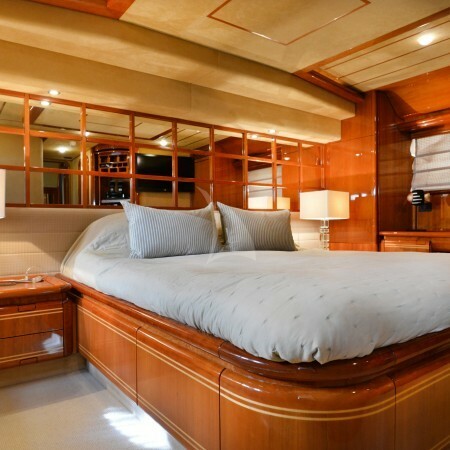 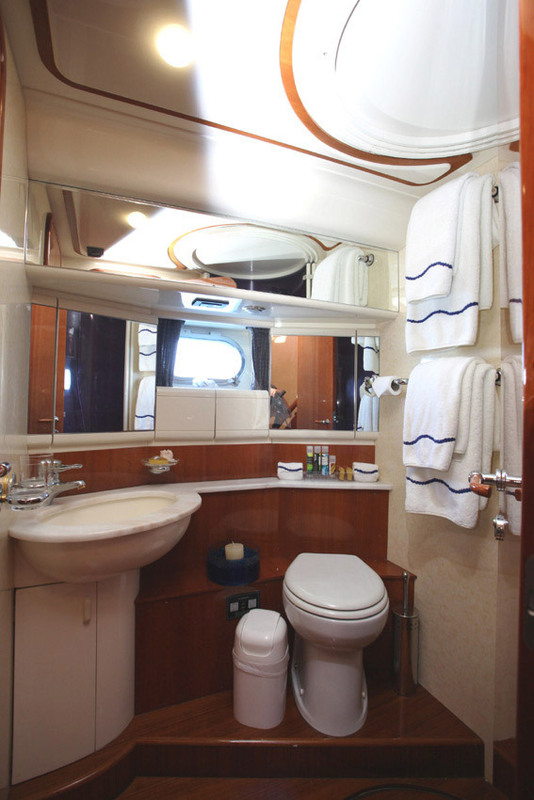 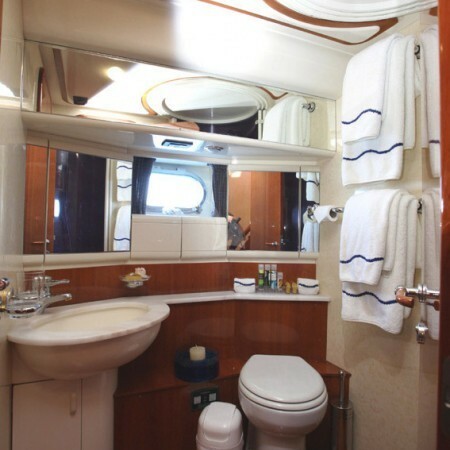 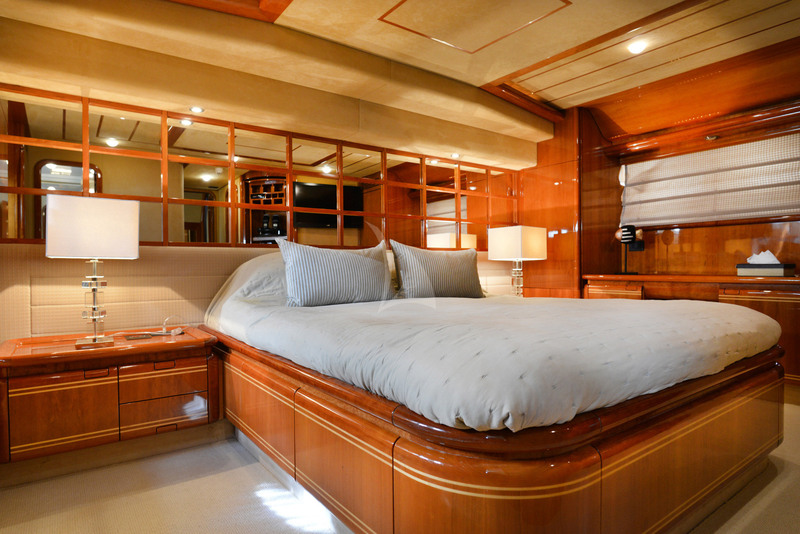 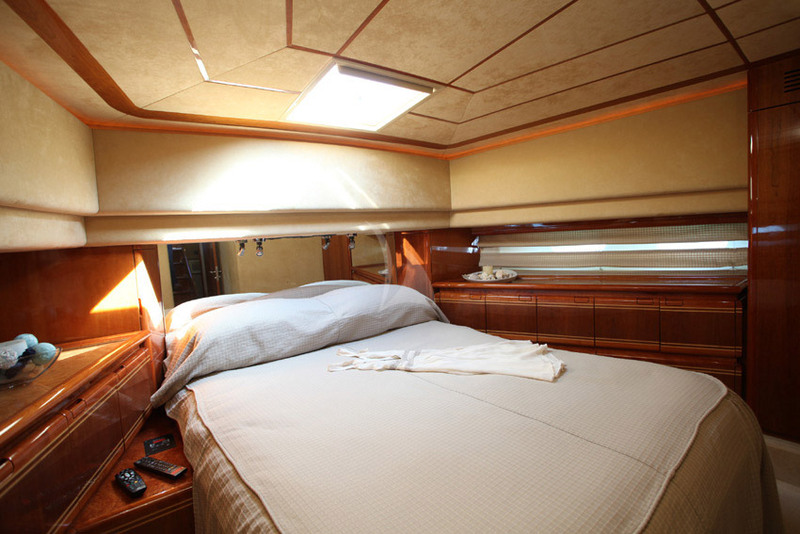 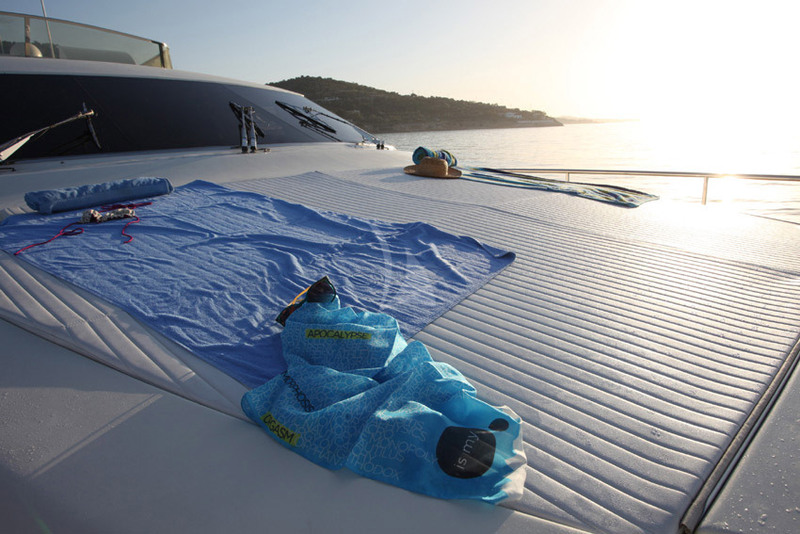 The full width of the yacht Master cabin has a king sized bed, a settee, dressing table and en suite bath with a bath tub. 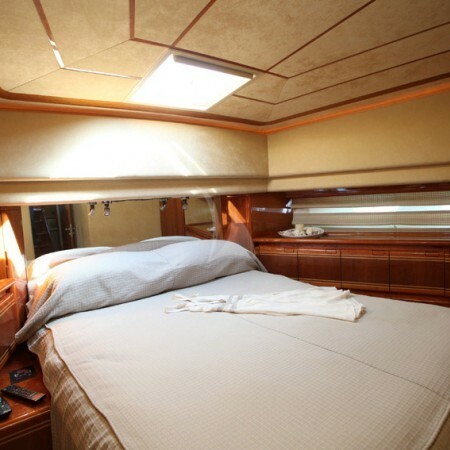 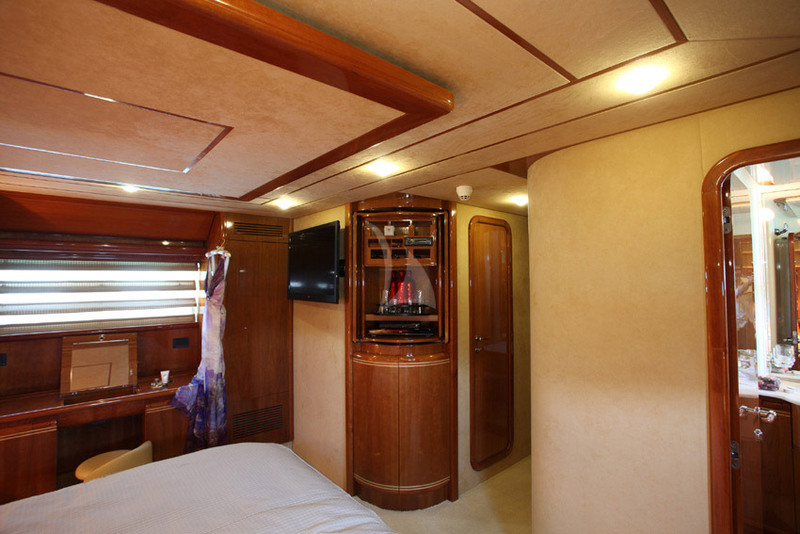 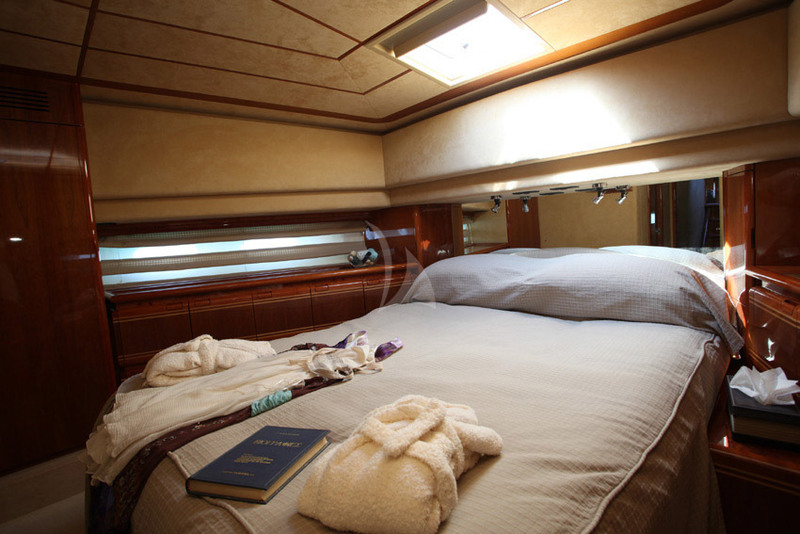 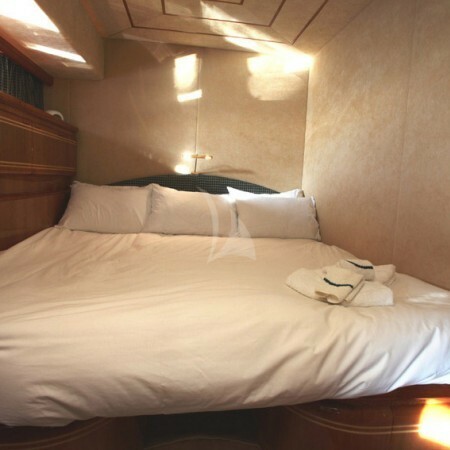 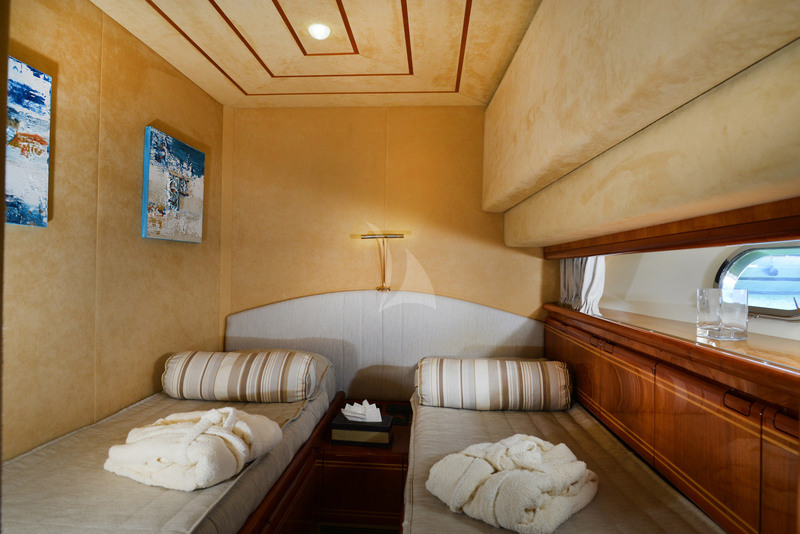 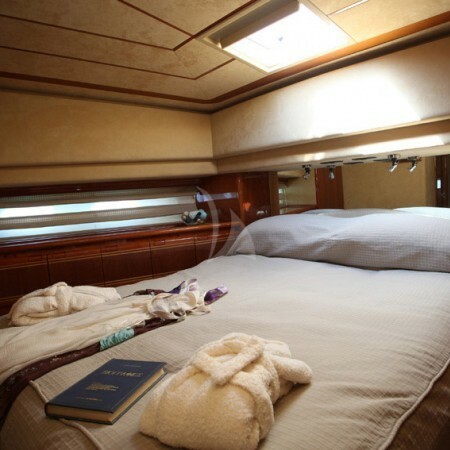 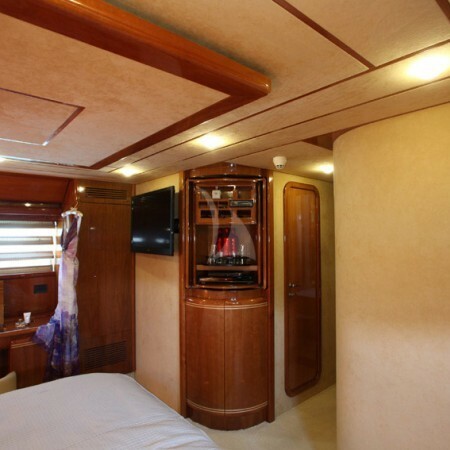 The VIP cabin, with a queen-sized bed, like the Master cabin has en suite facilities, an LCD TV and surround stereo system. 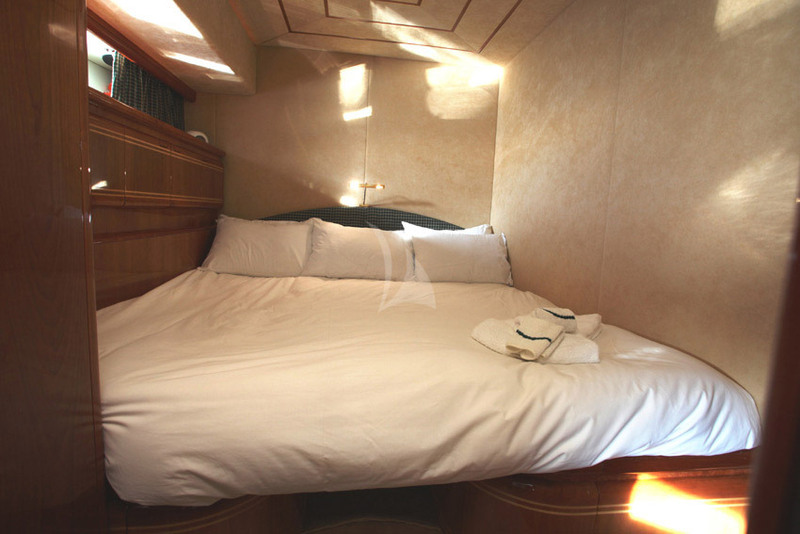 The other two cabins have twin beds and en suite facilities. 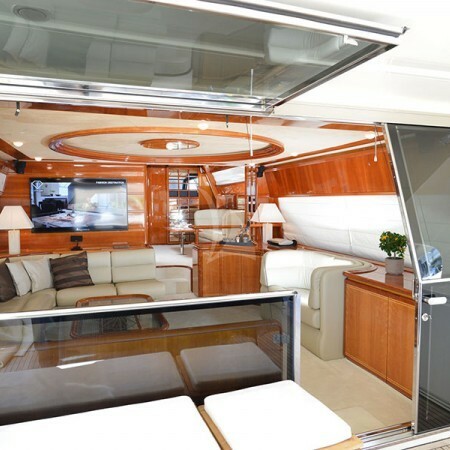 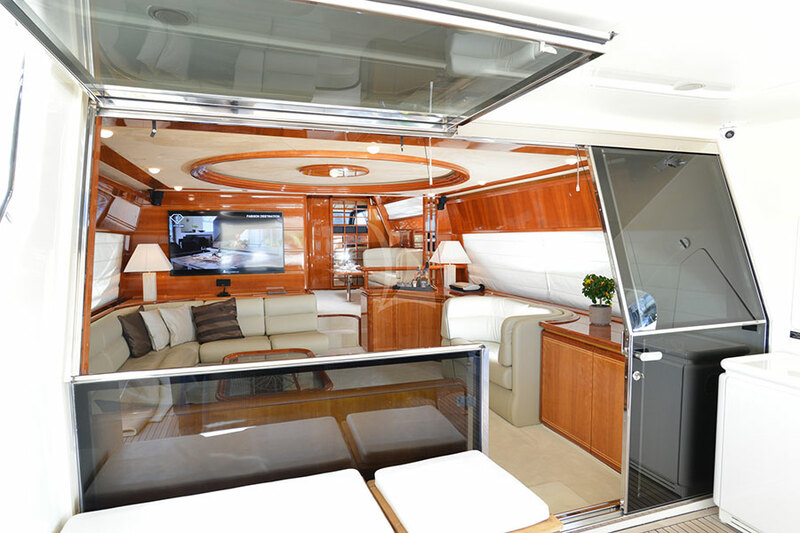 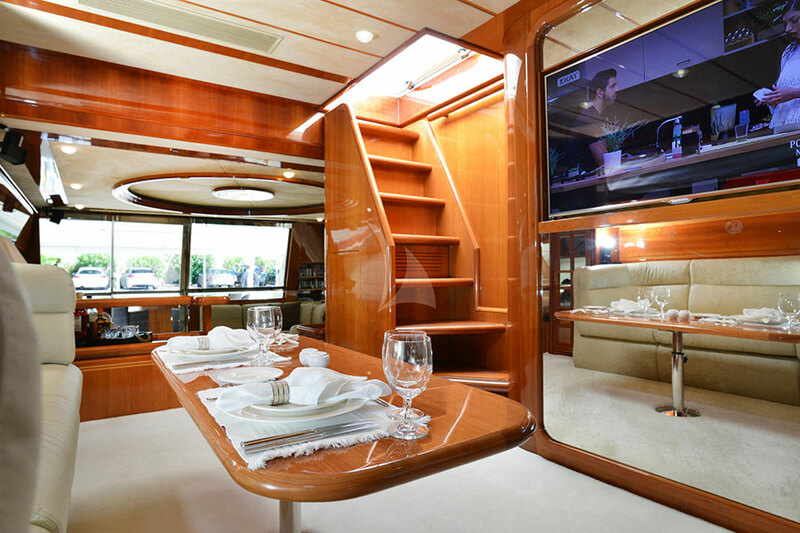 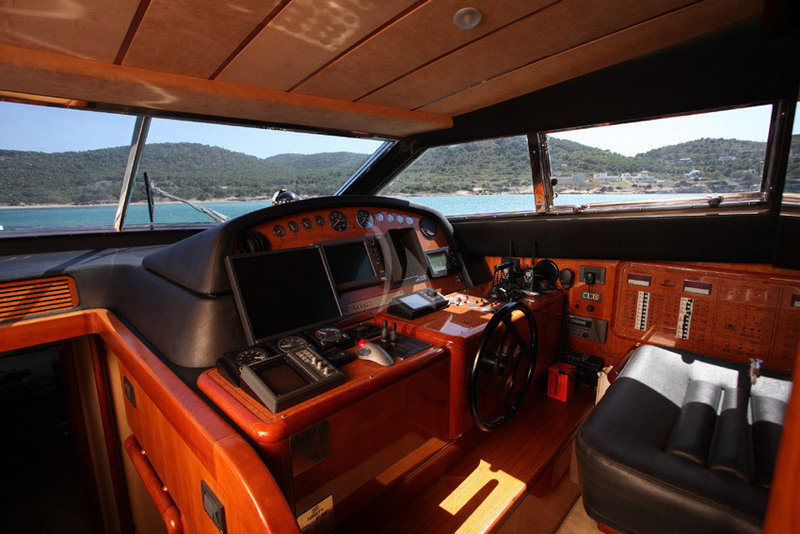 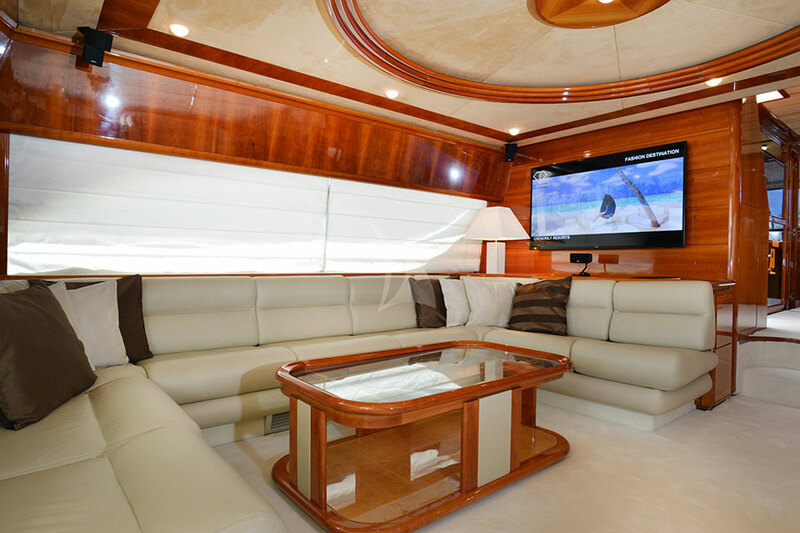 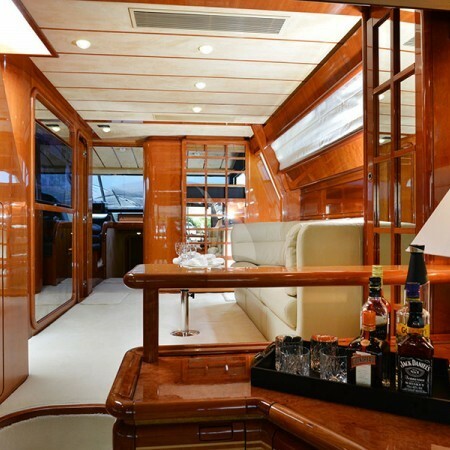 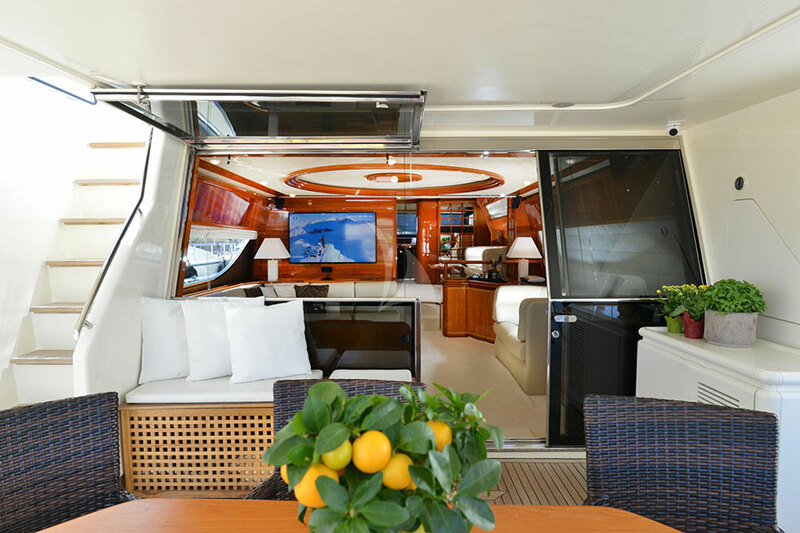 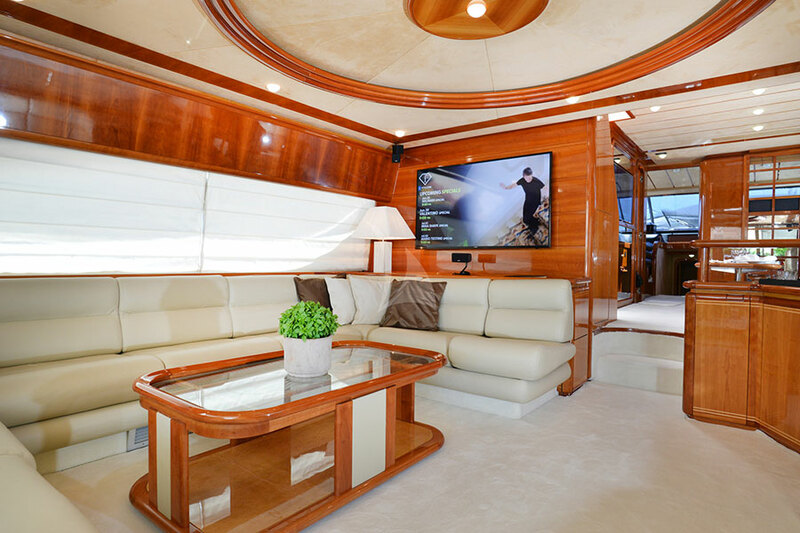 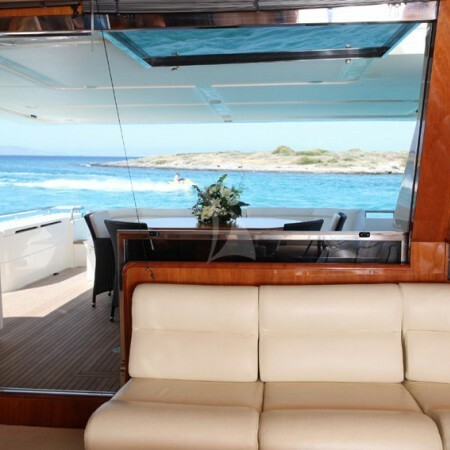 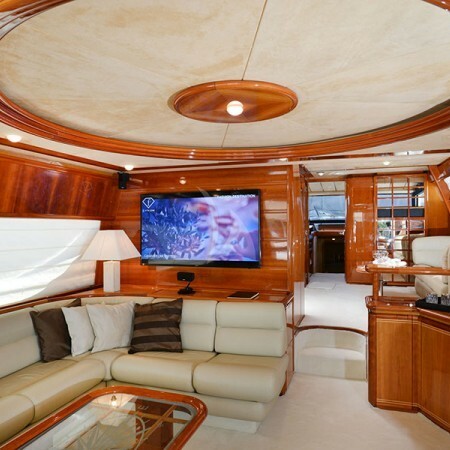 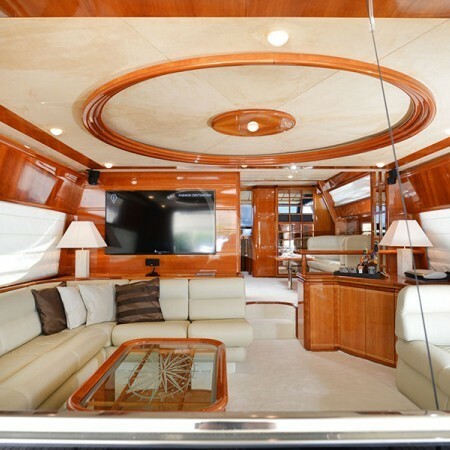 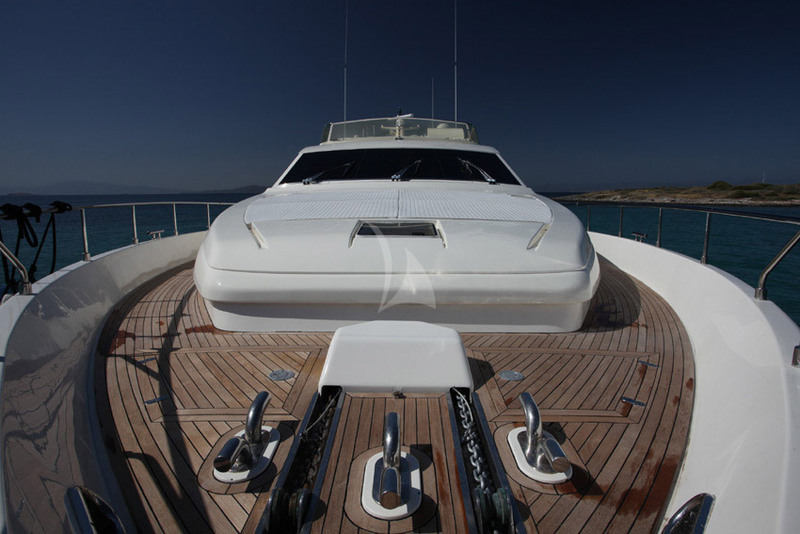 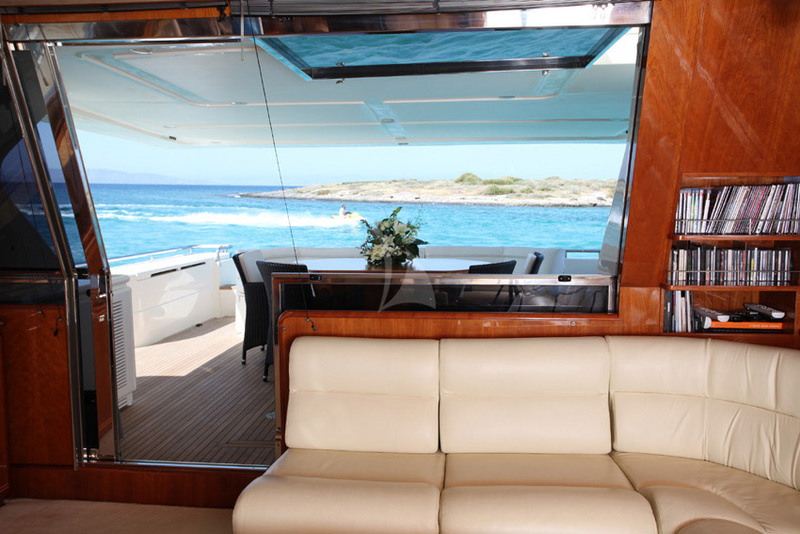 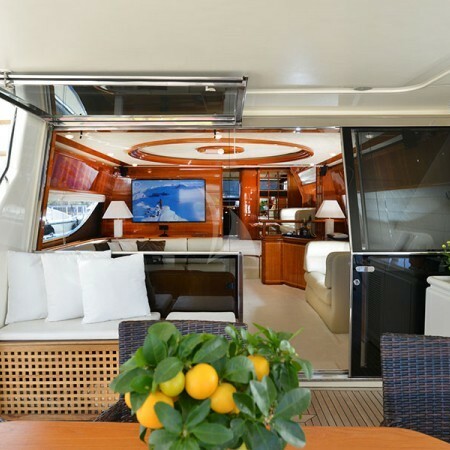 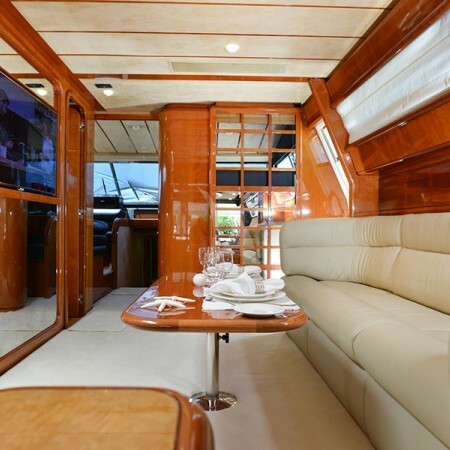 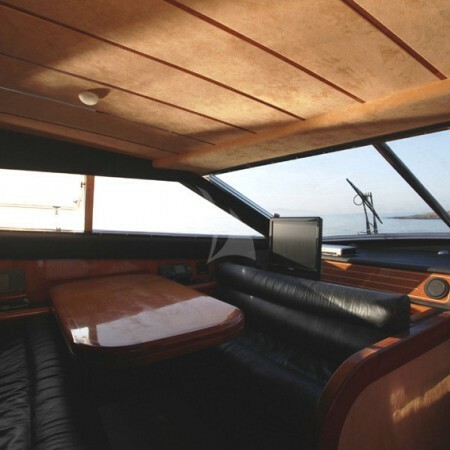 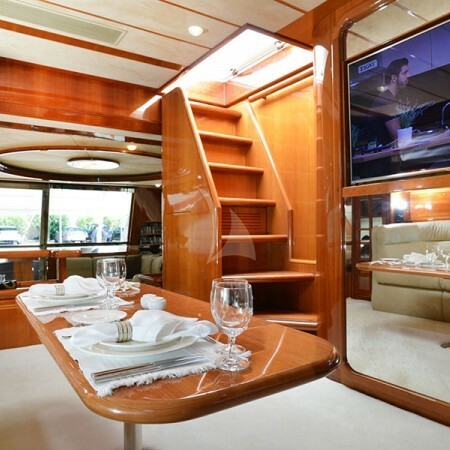 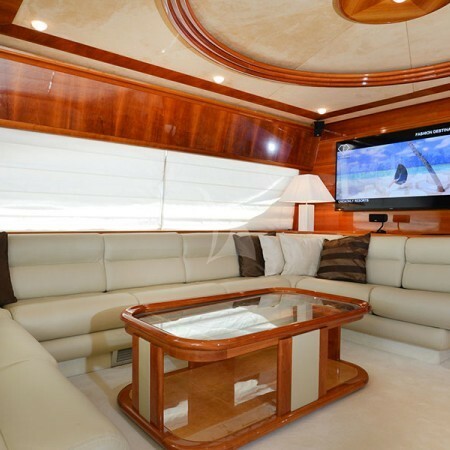 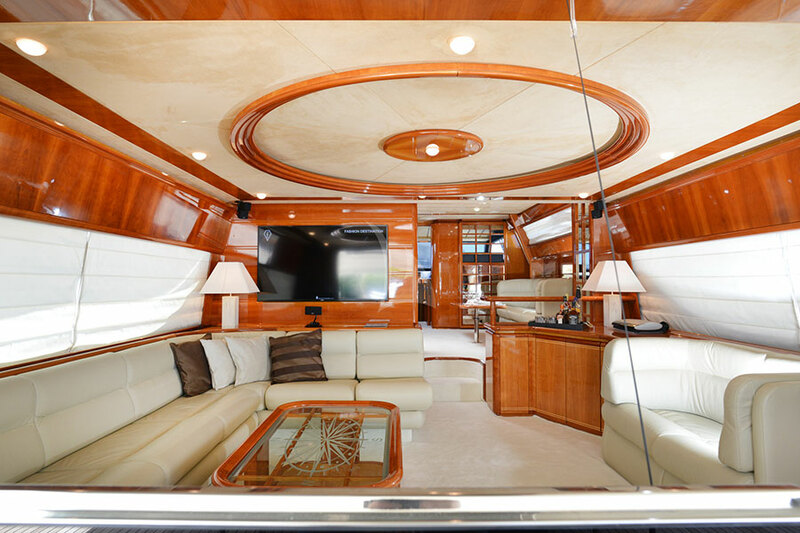 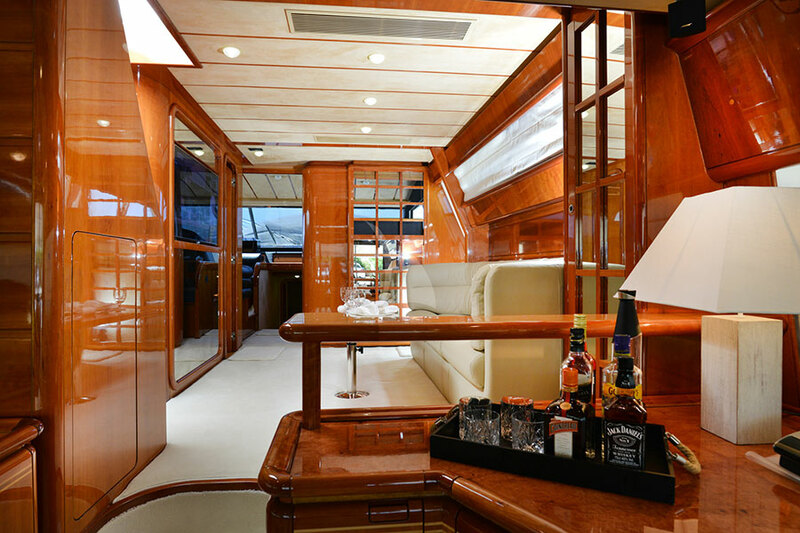 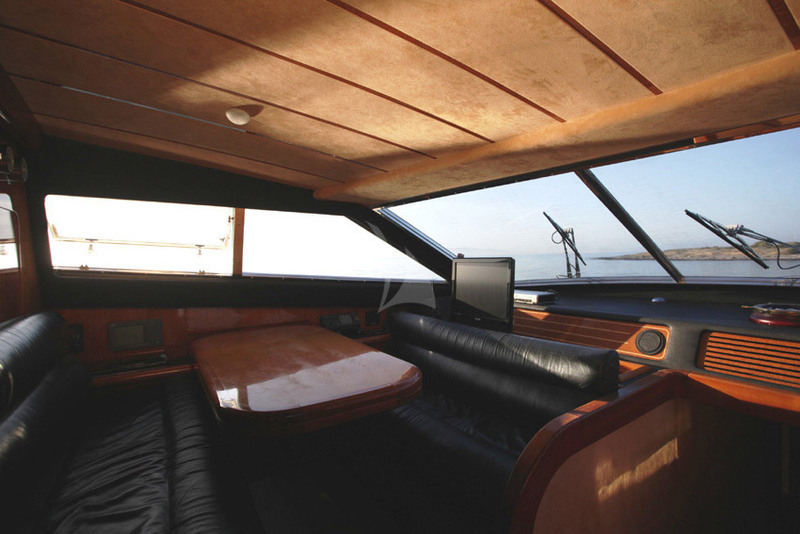 A unique combination of wood and a light and fresh interior throughout the yacht provides a welcoming and comfortable ambience. 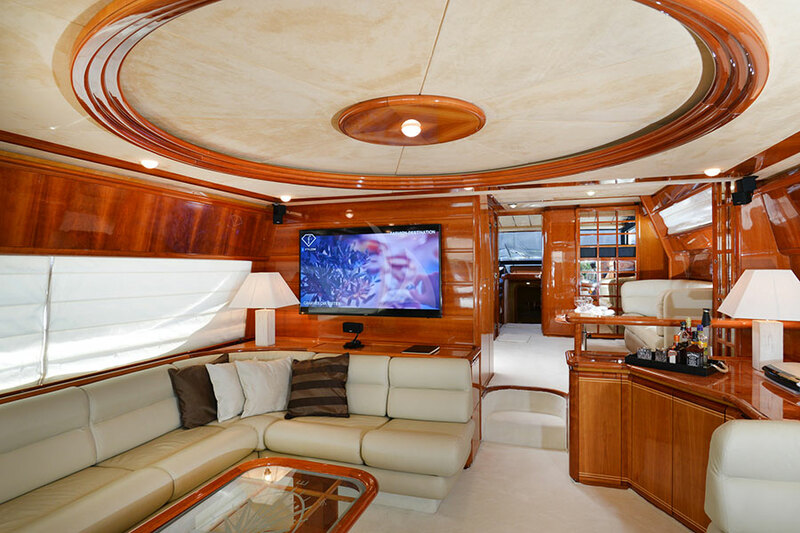 The Salon boasts a state of the art entertainment center with satellite TV, DVD and B+O stereo surround system. 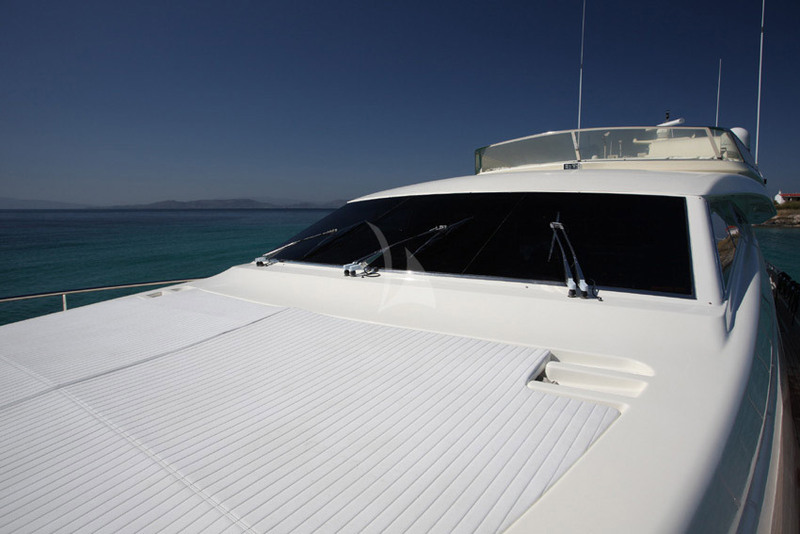 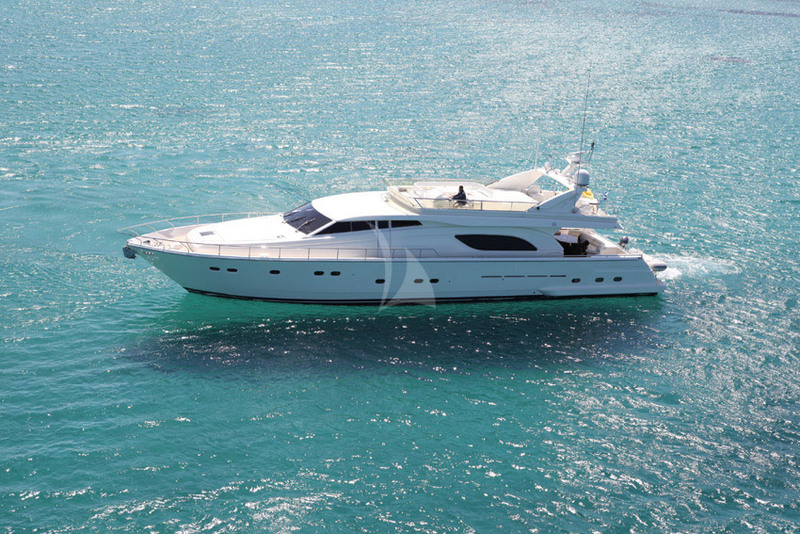 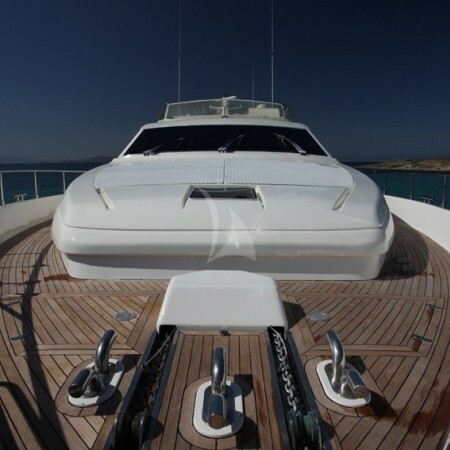 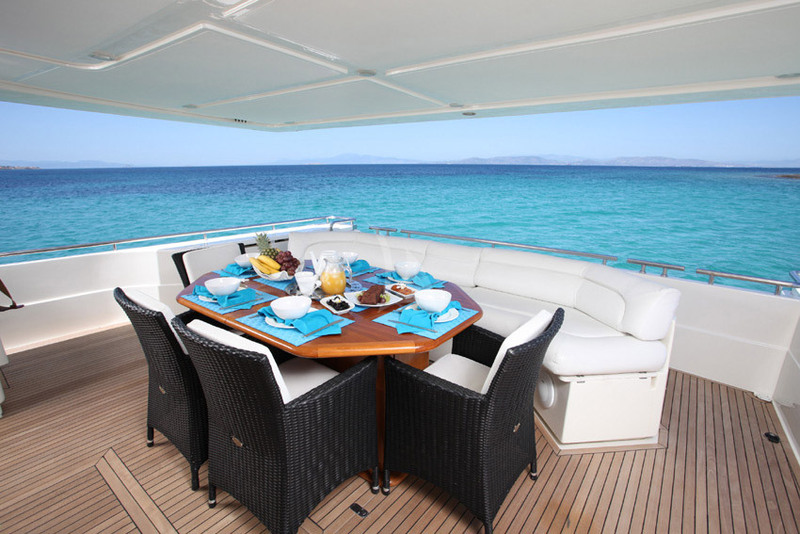 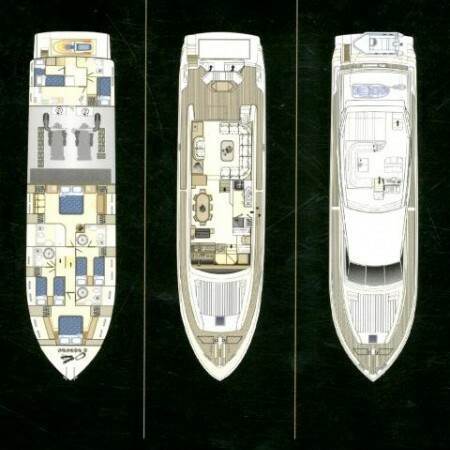 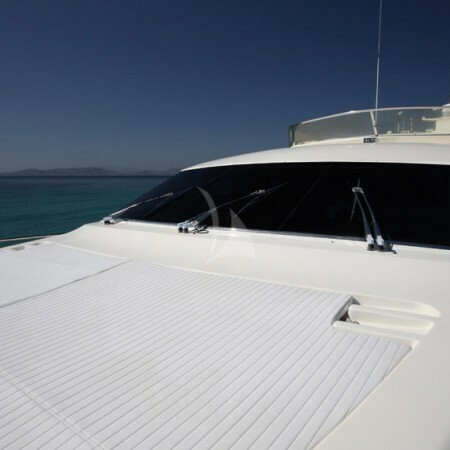 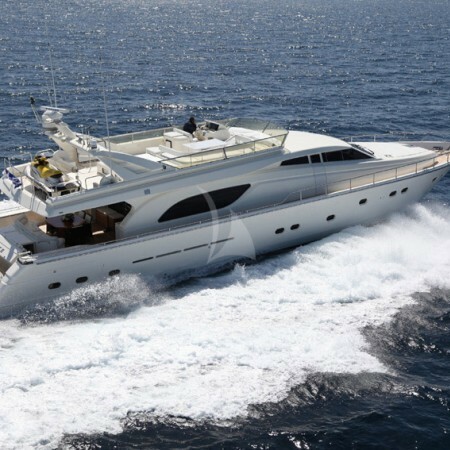 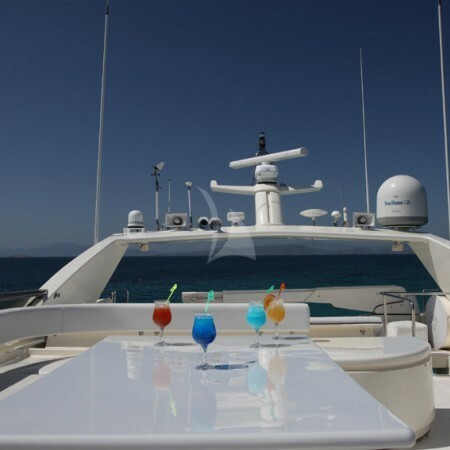 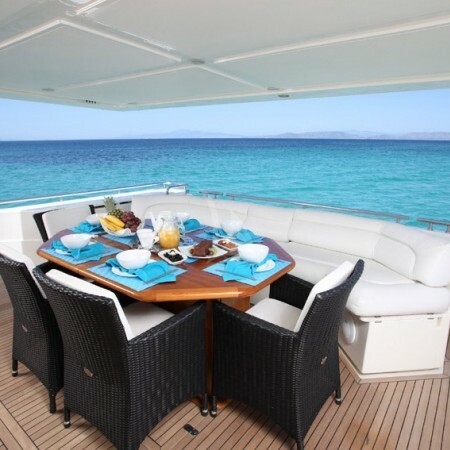 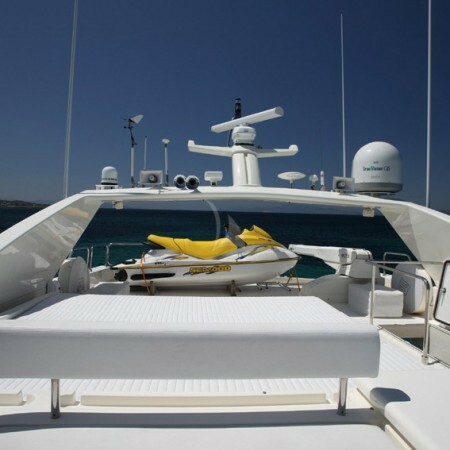 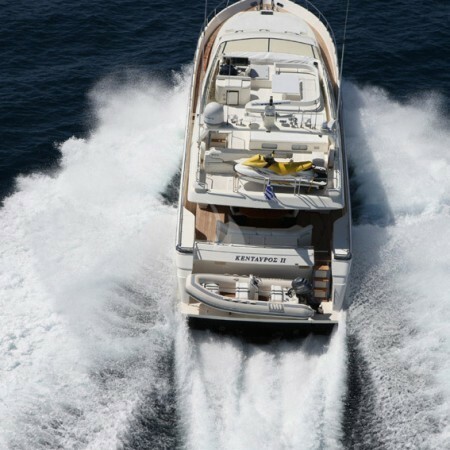 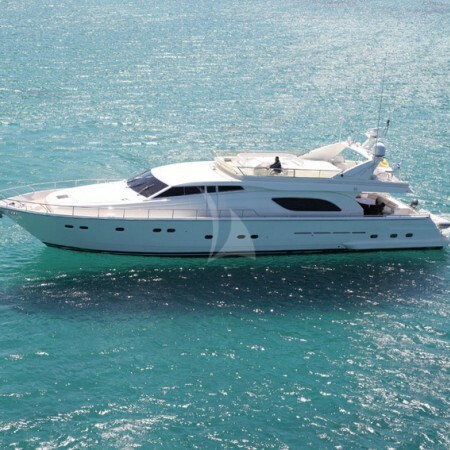 Guests can enjoy gourmet dinning either inside at the raised dining room or al fresco on the spacious aft covered deck. 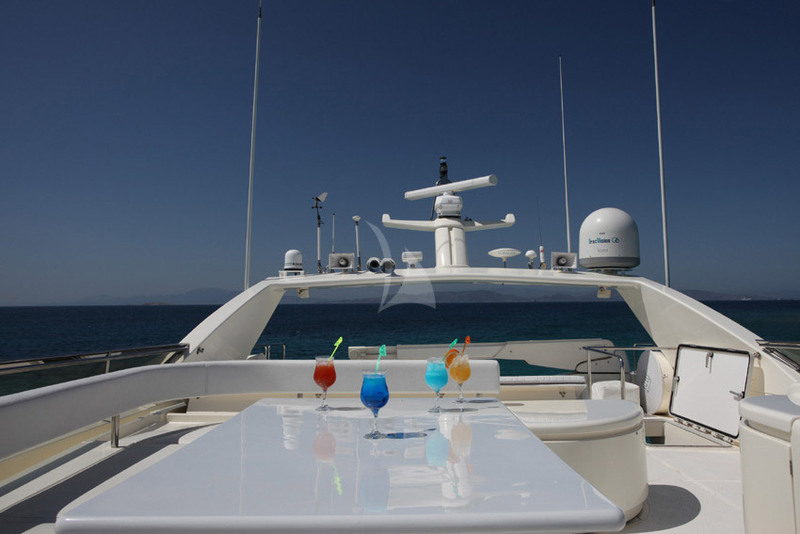 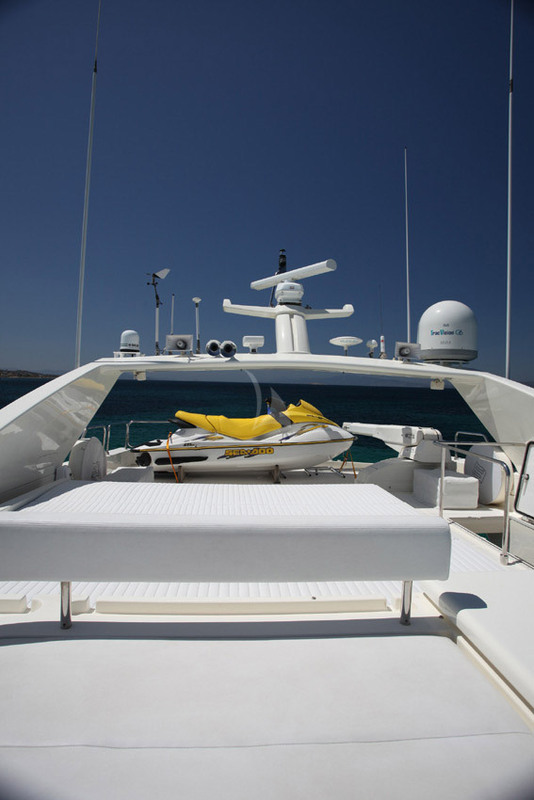 The Sun Deck is a favorite place for most guests as they can lounge and sunbathe in pure privacy. 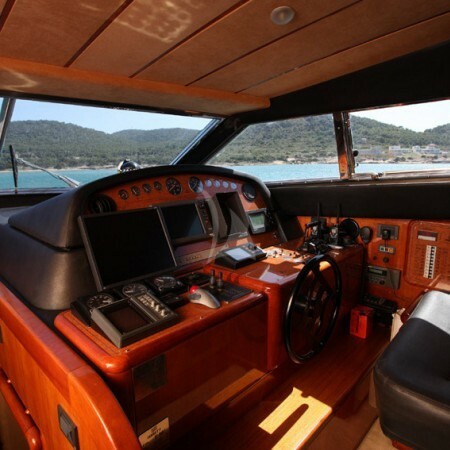 Tenders + toys: 1 x 4,3m Speedboat with 60hp outboard. 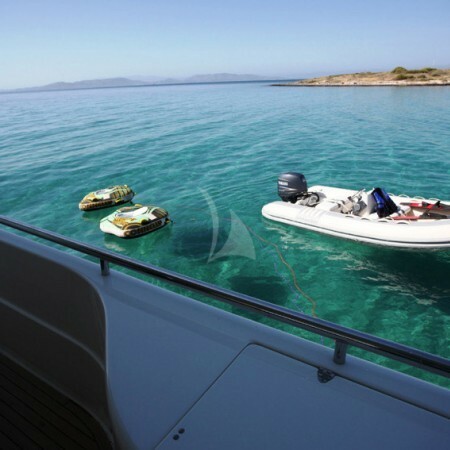 1 x Sea doo Spark 900cc waverunner. 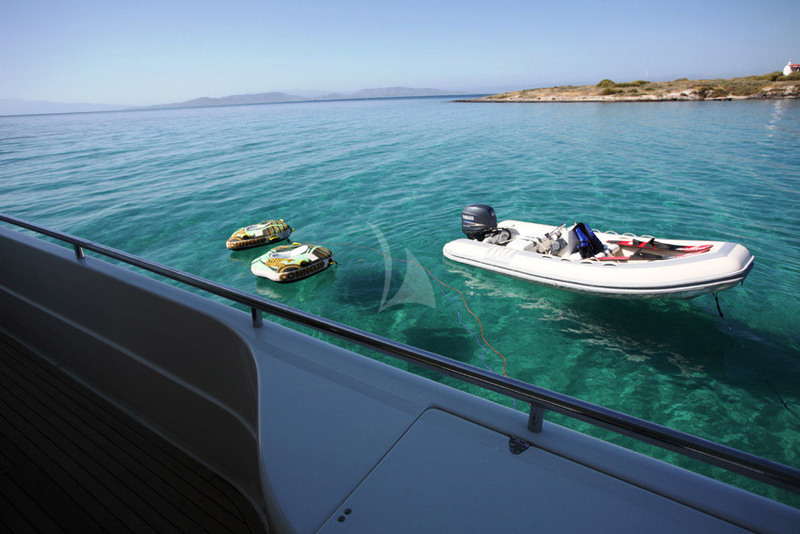 Diving equipment for two persons.